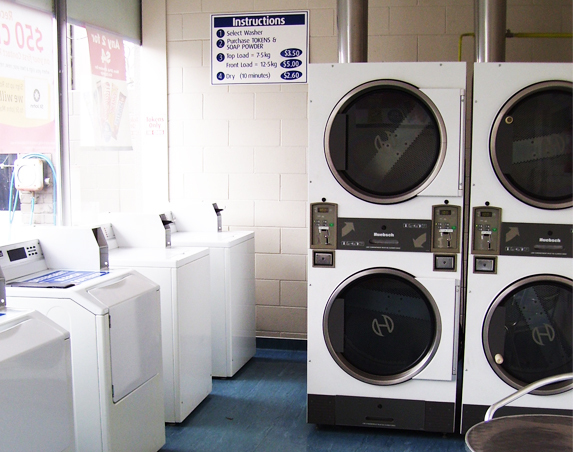 We offer a convenient self-service laundromat on-site. Do you have a mountain of washing that seems to get bigger every day? We also have tumble dryers available for those wet Manawatu days when the washing line just won’t cut it. Our machines are token operated so you don’t need to worry about having the right change.Purchase tokens, washing powder & fabric softener in our shop with cash, eftpos or credit card. Laundromat closes 30 minutes prior to close of site.